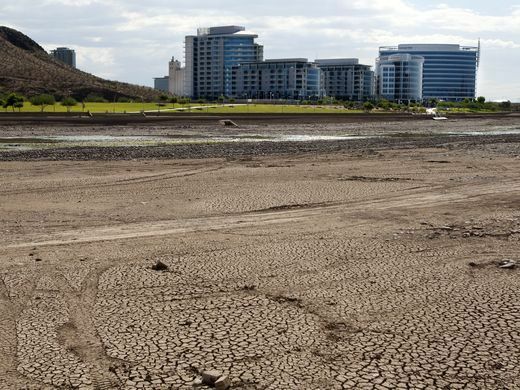 The Hayden Ferry Lakeside development skyline can be seen behind the dried up Tempe Lake. 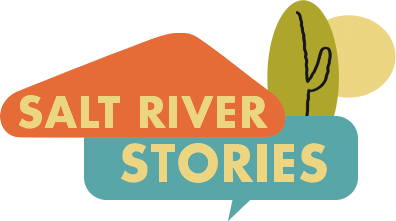 Due to the Tempe Town Lake dam bursting in 2010, the lake dried up. These development buildings no longer had the scenic view of the Tempe Town Lake to overlook; instead the only view that was seen was the barren desert.